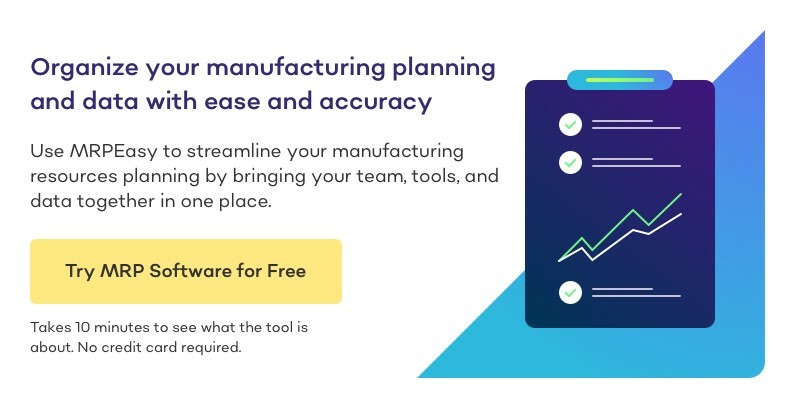 In one of our previous posts, we have already talked about what kind of information goes into production planning (you can find it here: http://manufacturing-software-blog.mrpeasy.com/manufacturing-production-planning/). Today we are going to dive into the practical side of it, how to put operations into the schedule in different situations. The production planning software used can plan production according to raw material or sub-assembly lead times even if these have not been purchased, or produced, or even planned yet. The software helps planning the production of sub-assemblies (or half-products) in a multi-level product. The software helps plan purchases. This means that you are planning the production where the product is directly put together from raw materials, there are no sub-assemblies or half-products needed in the making of the product. Parts go in from one end, and a product comes out from the other. See by when you can have all materials in stock; list the operations and needed time on different machines, and find suitable time-slots for the job and voilà. You’re done. Using the BOM it checks the stock levels and lead times for all materials required. Using the routing and the production calendar, it finds suitable times for all operations required. Sums up the material requirements, and helps you create purchase orders. Now, let’s move forward to something more complex. You have multi-level bills of materials, and thus multi-level manufacturing. The final product is put together of different sub-assemblies or half-products which have their own bills of materials and routings. Only build sub-assemblies when these are needed for the end product. There is no standing stock of sub-assemblies at any given time. Create a manufacturing order for the end-product. Create manufacturing orders for sub-assemblies. Plan material purchases, if needed. Each sub-assembly has a separate manufacturing order, thus the production of the end product is broken into smaller orders, which can be easier to handle individually. In scenario 1A there were many manufacturing orders for different items associated with one end product. Now, there is only one order, which makes it easier to see the general progress and grasp the whole production calendar, which consists of bigger chunks. This solution has effectively reduced the production planning complexity to single-level production planning. It might make sense to consider merging the multi-level BOMs and routings into one single level, thus reducing the difficulties of stock and document management. You wouldn’t have the sub-assemblies as SKUs, but since these items are only built on a need-to-have basis, it might be simpler if you cannot see these individually tracked any longer in the MRP system. Create a manufacturing order for the sub-assemblies. Create a manufacturing order for the end product. With bottom-up scheduling, the software does not know how many end products, if at all, would be manufactured, thus it cannot help suggesting the production quantities of higher level items. Thus, in this scenario, this is not an effective solution. Build sub-assemblies when these are needed for the end product, or make to stock so these could be used in production right when needed. Both of these solutions (and also solution 1A) give the flexibility to overproduce some parts and store these in stock. Each sub-assembly has a separate manufacturing order, thus the production of the end product is broken into smaller orders, which can be easier to comprehend. With top-down scheduling, the software can help calculate the material requirements when you move deeper, and it plans top level orders so that the lower level items have time to be produced (even if these have not been planned yet). With bottom-up planning, the software does not know how many end products, if at all, would be manufactured, thus it cannot help suggesting the production quantities of higher level items. But, this is the way to go, if you make to stock the sub-assemblies – once orders are placed for the end products, the sub-assemblies are just pulled from inventory. Some final notes, these scenarios are very general, but every situation always comes down to one of these approaches. It is always up to the person to understand the business, the product, and to choose the best approach for the situation being. 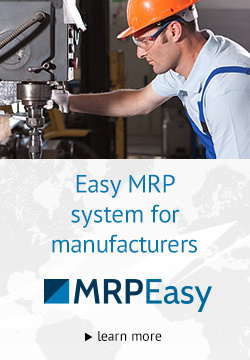 It’s important to note that these solutions are possible only when the assumptions presented in the beginning of the post are filled – you are using a modern and a comprehensive MRP solution. MRPEasy is designed for this, and it will help you with the planning in any way.